“Curious Imaginings” is on display until December 15, 2018. For more information and to get tickets, you can also visit the exhibition website. 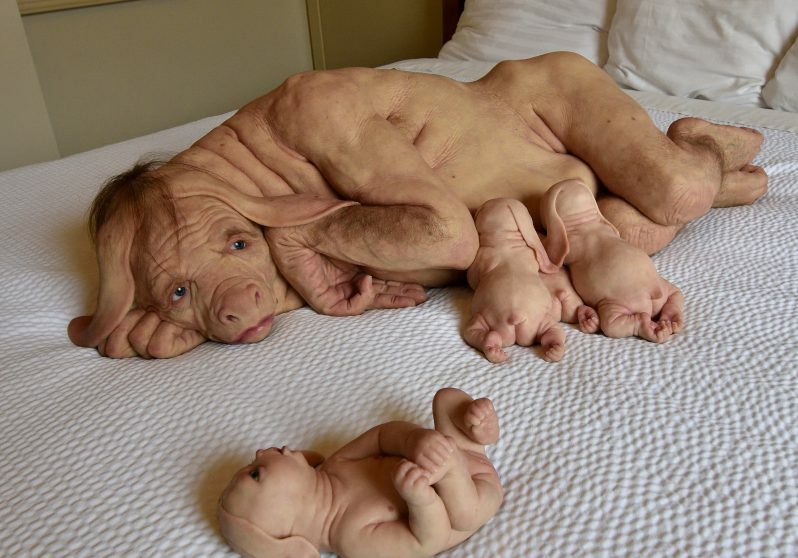 Patricia Piccinini uses a range of different media to explore concepts such as empathy, responsibility and acceptance. The contexts of her works, whether they be real-world relationships or fantastic stories and fables, focus on human thoughts and responses to change and difference. By drawing on our past and present relationships, Piccinini constructs scenarios to encourage us to engage with the grey areas of life and humanity, areas which are often complex and confronting, particularly as we move into the future. She is interested in relationships: the relationship between the artificial and the natural, between humans and the environment, between beings within families, between strangers, and finally, the relationship between the audience and the artwork. 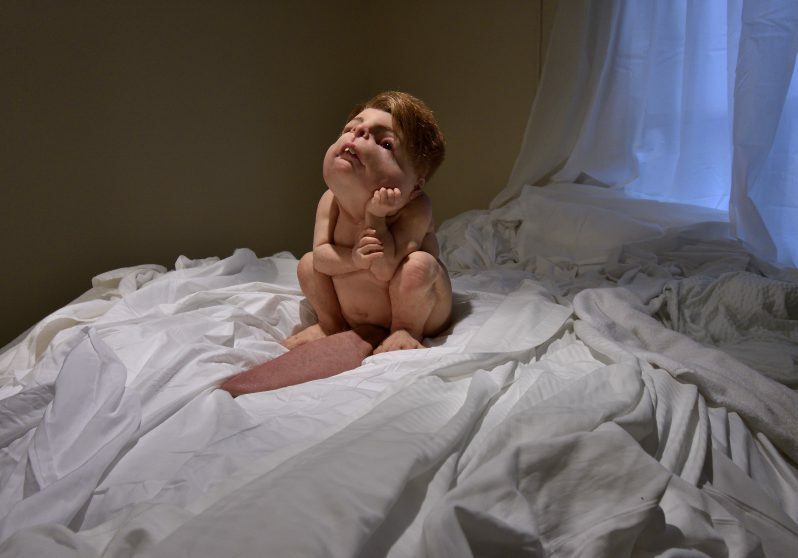 Over the years Piccinini has built up a type of alternative world that exists just beyond the real world we live in. Strange but familiar at the same time, it exists as moments, objects and images that overlap with the ‘real world’ of the gallery space. For Piccinini, the art-making process begins with research and drawing. She then works with a team of fabricators and technicians who use a range of specialist techniques to create the incredibly lifelike appearance of her creatures. For more artwork information, see the exhibition guide here.